Updated Microsoft has claimed a partial victory in getting OnLive to change its Windows-on-an-iPad service to comply with Windows 7 licensing terms. OnLive set up a Desktop-as-a-Service (DaaS) system, offering users of the iPad and other hardware to use a Virtual Desktop Infrastructure (VDI) version of Windows 7 on their devices. Microsoft began investigating the system, and, in an email to El Reg, is now claiming a victory after OnLive appeared to have downshifted its systems from Windows 7 (which requires a license for every machine it runs on) to Windows Server 2008R2, which is used by Citrix and others. "We're pleased to have been told that the OnLive Desktop application is now accessing our software by hosting it on Windows Server, an important step in delivering any Microsoft-licensed desktop-like service to the public," the email said. "Based on this information, we will work with OnLive to take a closer look at its service and ensure it is operating according to its license like thousands of other partners and utilizing our standing pricing and licensing terms." Redmond's statement does raise some questions however. "We ... have been told" isn't a firm statement of assured knowledge, and a follow-up call to Redmond representatives confirmed that Microsoft is still checking on the veracity of OnLive's licensing arrangements. OnLive told El Reg that it never comments on licensing issues. Others have been less unequivocal. Guise Bule, cofounder of VDI consultancy tuCloud, told The Register that he had some serious doubts about just how compliant OnLive is actually being, saying there were concerns that the company might simply have reskinned Windows 7 to make it look as though the shift had taken place. "We're not completely convinced. 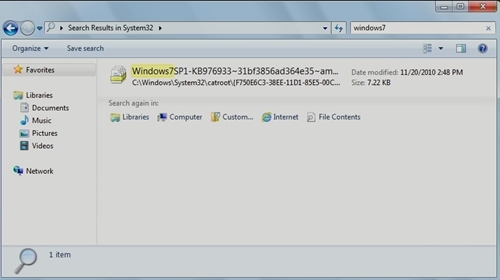 We think they may have skinned Windows 7 to make it look like Server 2008R2. We're seeing traces of Windows 7 in there, but can't prove it," he said. "If they have downgraded to R2, then at least they are playing on the same playing field as the rest of us." Bule said that the irony in the situation is that setting up a VDI system on Windows 7 was perfectly easy to do. He said Microsoft was trying to keep a hold on the market for a while with licensing terms so that Redmond could launch its own service when it was ready. Smoking gun or smoke and mirrors? Guise Bule has retracted his earlier observation regarding OnLive's operating system status and said a closer examination of server images showed the shift had been made. "In our defence we NEVER use server images for our desktops rigs and the thought simply did not occur to us the 2008R2 would have Win7 files native in it, still doesn't make sense to us but it appears as if there are according to our peers," he told El Reg.